Do some areas of your body stars to feel numb after you stand or sit for prolonged periods? Are your fingers or hands always cold or blue? This is exactly what occurs when the blood circulation is disrupted. Proper blood circulation in your body is important for maximum health. It’s via blood circulation that oxygen, nutrients, and minerals get transferred to various parts of the body. Proper circulation also facilitates organ function and cell growth. Though the flow of blood often goes back to normal post some movement, it may cause complications and health problems in a few cases. Therefore, it is vital to address the issue related to blood circulation. 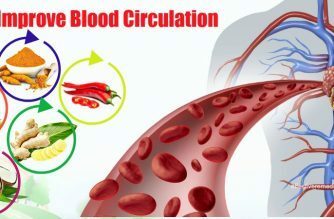 In this article, you will discover the best ways on how to improve blood circulation fast and naturally. Keep reading to know more! We all know that consuming a balanced, nutritious diet is vital for maintaining good health, but do you know that foods also play a vital role in helping a healthy circulation? 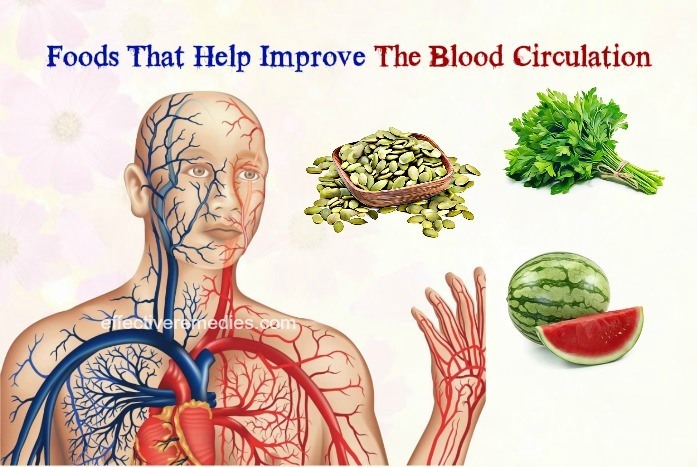 The following foods are thought to help improve blood circulation. Cayenne Pepper: It is an ideal way to increase metabolic rate and blood circulation. It also aids in strengthening blood vessels and arteries. Apart from that, it can inhibit poor circulation in feet and toe numbness. It is high in vitamins A and C that can help get the blood flowing. You can add it to juices or salads. Oranges: This fruit is full of bioflavonoids and vitamin C that strengthen the capillary walls, thus helping the blood flow through the body. Ginger: Ginger is helpful in stimulating the flow of blood to all organs. It is also beneficial for boosting a sluggish immunity and clearing congestion. Watermelons: They can help to inhibit the buildup of plaque thanks to their lycopene. Lycopene can support healthy blood circulation. Pumpkin Seeds: They are a high source of vitamin E that helps to keep blood flowing freely and prevent blood clots too. Parsley: It helps to enhance the circulatory system. It has more vitamin K than most vegetables and herbs. It will also help to detoxify your liver and blood. It also contains antioxidants that help to protect you against infection. This herb is not suitable for pregnant women. Ginkgo Biloba: This herb helps to improve blood circulation by dilating the blood vessels and preventing the sticking of blood platelets. You can include ginkgo biloba in your dishes or use it in the form of liquid supplements. Red pepper, Chili, And Paprika: It is helpful for pumping up the blood circulation in your body. It increases blood circulation by preventing platelets aggregation. Also, it can improve the functioning of the heart, thus controlling blood pressure. Onion: Onion owns a substance named allicin, which is known to increase blood circulation. Also, it helps to increase the quantity of fluid excretion from your body. As a result, this helps to lower swelling caused by poor blood circulation. Here are the top ways to help improve blood circulation. As we know, too much salt isn’t good for overall health. According to studies, too much salt can have a negative effect on circulation. High intake of salt can harden the arteries that can affect blood circulation. Furthermore, it can cause bloating and result in raising blood pressure that in turn hampers your blood flow. Thus, you must decrease processed food consumption such as ketchup sauce, frozen foods, and canned foods having a high amount of sodium. Caffeine may have a dehydrating impact on the body. Because staying hydrated may help to enhance blood circulation, this is a reason why it is vital to watch out for the consumption of caffeine. As per a study, caffeine can lower cerebral blood flow. Besides, sugary drinks aren’t good for overall health. Thus, it is crucial to avoid sugary and caffeinated drinks when trying to improve blood circulation. Wearing proper clothing is another useful way on how to improve blood circulation. Certain types of clothing can help improve circulation effectively. Compression socks target arch and ankle areas, thus helping with good circulation. Avoid wearing extra tight clothing for a long time because it can hinder circulation. It is recommended to wear either appropriate or loose clothing since it aids in maintaining good blood circulation. An ideal way to maintain your blood circulating at maximum levels is consuming a variety of healthy nuts. Nuts such as raw almonds and walnuts help with blood flow. Some types of nuts are full of iron and magnesium and are also rich in vitamins A, B, C & E, which help with better blood circulation. It’s better to consume nuts raw because they tend to become more acidic when they are cooked. The best method to enhance good blood circulation is exercise. You don’t need to do rigorous weight training exercises. Mild and simple aerobic exercises are enough to help improve blood flow. It’s suggested to walk for at least half an hour about five times a week. You can also do simple hand and foot exercises for fifteen minutes every day in the morning. Also, enjoy trekking, biking, jogging, swimming, and similar activities several times a week. 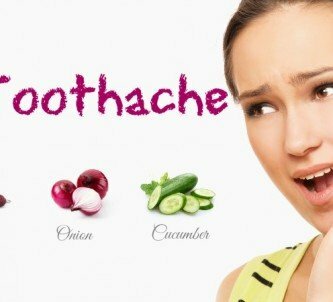 Massage is effective in moving blood through your congested areas. Plus, a relaxing massage of your whole body helps promote blood flow by dilating the blood vessels. You just need to warm up a little almond, coconut or olive oil. Also, add several drops of rosemary oil. Start massaging your hands, ankles, legs, and other body areas with the oil using gentle but firm strokes. Leave it on for some time and take a warm bath afterward. For best results, enjoy massage several times a week. Remember to keep the movements directed toward your heart to facilitate venous blood & lymph flow when doing massage. Hydrotherapy is an efficient way to enhance blood circulation. It’s helpful in dilating the blood vessels and thereby promoting the flow of blood. Both cold and hot showers can help. Using hot water either in a bath or shower will help to improve the circulation of your body. It is advisable to enjoy a steam bath, a hot bath, sauna, or whirlpool bath several times a week. Oily fish embraces omega-3 fatty acids, which are beneficial for improving circulation and promoting cardiovascular health. Oily fish are salmon, tuna, sardines, and mackerel. Kale consists of a small quantity of omega-3 fatty acid for people who are vegan or vegetarian. Supplements having omega-3 fatty acids are another choice for those who don’t eat fish. Iron is a crucial mineral for your circulatory system. It’s needed to make hemoglobin, the main component of red blood cells that is required to carry oxygen. You should eat iron-rich foods such as spinach or red meat to improve your blood circulation. However, you need to pay attention to the amount of iron you consume because too much iron can negatively affect cardiovascular health. High stress levels can have a negative effect on a few aspects of health including circulation. Lots of activities can help a person feel calm and alleviate stress. Laughing is a typical example. It not only lowers stress but also helps with circulation. In addition to this, it can accelerate circulation and facilitate muscle relaxation. Eating foods is another way to help you improve blood circulation. Oranges, lemons, and other citrus fruits rich in vitamin C are great natural blood thinners. Consuming these delicious snacks regularly can make capillary walls stronger and inhibit poor circulation. Goji berries are useful for strengthening the immune system and improving overall circulation function owing to their fiber content. Watermelon is also another super fruit. Besides, the classic summer treat is rich in lycopene, an antioxidant, which has been associated with improved blood circulation. For many people, a moderate quantity of alcohol can be healthy. However, drinking in excess can cause hardening of the arteries that hinders healthy blood flow. Besides, excessive alcohol use can cause dehydration and raise blood pressure. Smoking can inhibit the blood from circulating properly. It can increase blood pressure that damages the arteries. Along with that, smoking causes the narrowing of the blood vessels that will stop the blood from flowing via your circulatory system. Apart from that, smoking makes your blood stickier and results in the flow of blood to the extremities such as the toes and fingers. Dry brushing is potent in removing dead skin cells and improving overall circulation. Enhancing your skin will increase the flow of blood to your skin and encourage the elimination of metabolic waste through your lymphatic system. Brush vigorously starting at the feet with a dry brush. It’s better to choose one brush with bristles made from natural materials. The improper posture can prevent the flow of blood to the region where the pressure is applied. The tingling sensation you feel is the way of your body of saying that they are not getting sufficient oxygen to sustain life. To combat this problem, make sure to assume proper posture whether walking, sitting, or standing. Keep your shoulders straight, head elevated, and back erect at a 90-degree angle. Elevating your legs not only improves blood circulation but also helps you relax. You can perform this by raising your legs for about 20 minutes at a time. It is best to do this frequently throughout the day, whether you are at home or at work. You can further enhance your circulation by moving your toes about, rotating your ankles, and twisting your feet when your legs are elevated. Consuming a lot of water will help hydrate your organs and tissues, which will improve blood flow naturally. Drinking water also helps to rid your body of harmful toxins. It additionally assists in improving the oxygen levels in the blood. So, it is recommended to drink 8-10 glasses of water daily. Turmeric is an excellent ingredient which can be perfect for improving blood circulation. It holds an active ingredient named curcumin, which helps to inhibit the blood platelets from the formation of clots and decrease the buildup of plaque in the arteries. Just add the turmeric powder and some honey to the warm milk. Afterward, consume it once or twice every day. You can also add this spice to your cooking. Also take turmeric supplements, after checking with a doctor. Caution: High doses of turmeric may reduce blood pressure, and hence people on blood pressure medications need to exercise caution while taking turmeric. Mix all the above elements well and consume it twice every day. You can also take it in the form of a supplement after consulting a doctor. Alternatively, add cayenne pepper to your cooking. Caution: Pregnant or breastfeeding women should stay away from consuming cayenne pepper. Coconut oil can improve blood circulation effectively. It is useful in alleviating inflammation of the arteries, as it comes with medium-chain triglycerides and healthy fats. Consequently, it improves the flow of blood throughout the body. Just consume the prepared coconut oil every day. Alternatively, you can warm coconut oil and use it to massage your legs and hands every day. Caution: Coconut oil consists of a type of fat, which can increase cholesterol levels. Hence, people should stay away from eating this oil in excess. Green tea is ideal for relaxing the arteries and improving circulation owing to its antioxidants. Also, it increases blood flow by widening blood vessels. Take the green tea bad and put it in hot water for five minutes. Press the bag against the cup by using a spoon to remove the excess tea. Remove the bag and add some honey. Consume about two cups of green tea every day. Caution: Green tea is likely unsafe when taken in high-doses or by mouth long-term. It can cause vomiting, irritability, diarrhea, irregular heartbeat, heartburn, tremor, ringing in the ears, dizziness, etc. Ginger is another ingredient that is beneficial for improving blood circulation. This ingredient consists of compounds such as zingerone and gingerols that provide you with good blood circulation. Also, regular consumption of ginger inhibits blood clots in your body and lowers the risk of atherosclerosis and heart disease. At first, boil the ginger in the water for around 10 minutes. Strain it and add honey. Have this ginger tea twice to thrice a day. Another option is chewing a few fresh ginger slices every day or including fresh or dry ginger in your cooking. Caution: Consuming ginger in high doses can cause diarrhea. Pregnant women should avoid using it because it may increase the risk of miscarriage. Garlic is a great remedy that can help to promote blood circulation, reduce blood pressure and inhibit blood platelet aggregation. Moreover, it helps to restrict the buildup of plaque in the arteries and decrease the risk of atherosclerosis. Just eat the garlic cloves every day on an empty stomach. Alternatively, add it to your regular cooking. Also, consult your doctor before taking a supplement. Caution: Taking garlic on an empty stomach may lead to diarrhea. 1. What Occurs If You End The Blood Circulation In Your Hands And Other Body Areas? When you stop the blood supply to your legs or hands, they’ll go numb in several minutes because of the absence of oxygen in your neurons. This will lead to the absence of any sensation, and the legs or hands may also turn blue. 2. What Vitamins Should You Take To Help Improve Blood Circulation? To improve blood circulation, you can increase your consumption of foods rich in vitamins C, B and E such as milk, cheese, eggs, poultry, leafy vegetables, citrus fruits, soy, and nuts. 3. How Long Does It Take To Help Improve Blood Circulation? Poor blood circulation can cause adverse health impacts later in life. So, it is essential to exercise regularly and follow a healthy diet to remain proper blood circulation. 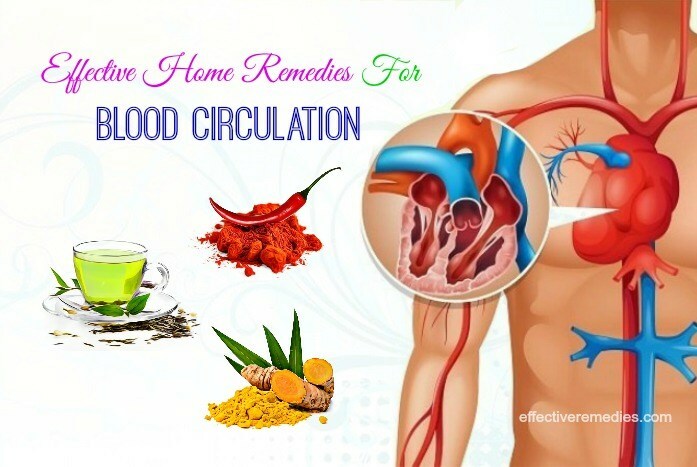 You can easily improve blood circulation with the support of the foods, tips, and remedies listed in this post. 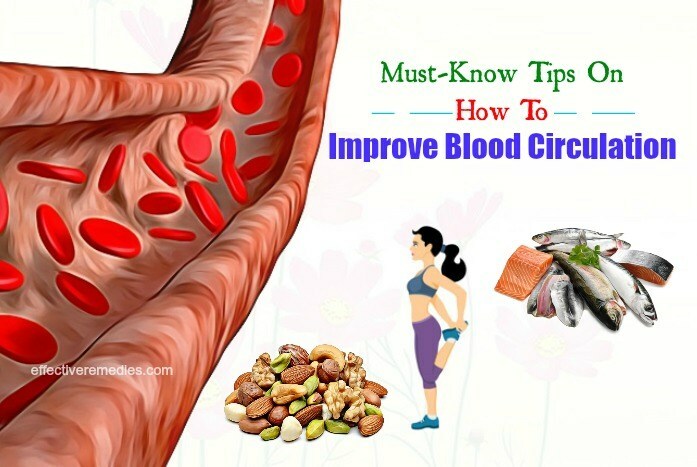 If you know other easy tips that work naturally and fast on how to improve blood circulation, then share with us. Did this post address all your queries? Feel free to let us know through the comments section. All of the contents provided in this article are for informational & educational purposes. We recommend you consult a healthcare professional to determine which method is appropriate for you.